I had do deal with a problem while creating new Team Projects with Visual Studio 2010. 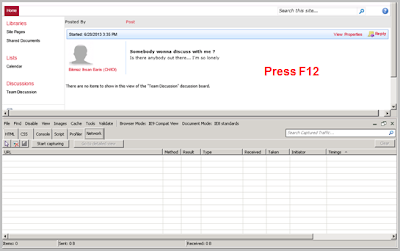 The error message was that an an the item /Tfs2010OlapReportDS was not found. 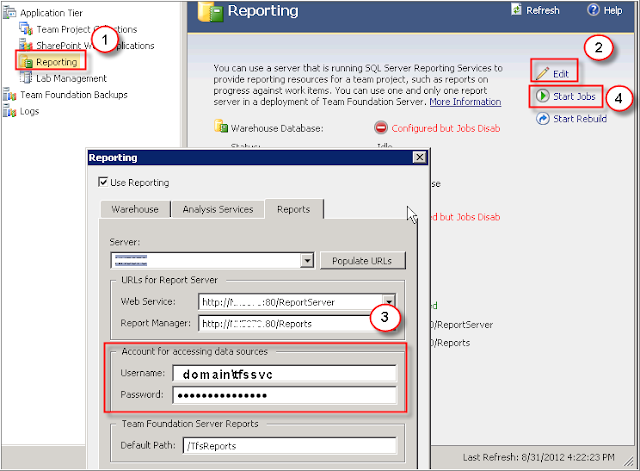 It seemed that the reports for tfs could not be uploaded due a permission problem. After hours of searching and reinstalling I found the fix for the problem. The fix was really easy. I thought it would be great to use the WikiCategories field in each Enterprise Wiki Page as navigation. This works relatively easy. 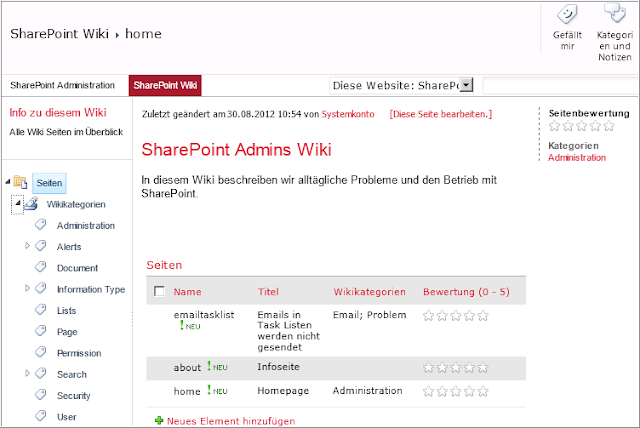 SharePoint 2010 offers the new metadata navigation mechanism. We'll us it to create the page. 2. Create Enterprise Wiki Site I had a Team Site and I wanted to create an "Enterprise Wiki" subsite. To use the Wiki site template you must first activate the "Publishing Infrastructure" Feature in your sitecollection features. The create a new subsite with the "Enterprise Wiki" template. Adapt the field with the tags you want. The meta tags must be configured in the central admin within the metadata service. 4. Activate Metadata Feature Go to your newly create Wiki site. 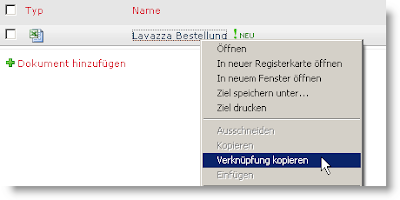 http://davidlozzi.com/2012/01/26/color-code-your-sharepoint-calendar/ One drawback, which happened to me after overlaying was that the overlayed calender items could not be opened in the new SP 2010 Dialog style but only as new browser window. Tip: If you have embeded the calender as webpart somewhere in your site, you have to actualize the view in the WebPart settings to view the colored calender. You can delete these numbers easily with NotePad++ or another higher TextEditor. I use NotePad++ so I'll show you have I do that with NP. 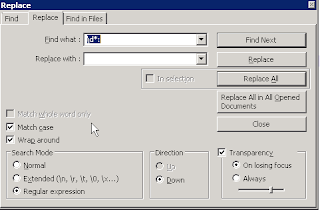 Copy the code into the editorOpen the "Replace" dialogCheck "Regular Expression"Enter the regular expression in "Find What" = \d*: (This can be any other regex)Enter nothing into "Replace String"
When you create a SharePoint Farm within an extranet you usually have to check ports to other servers within other security layers behind firewalls. Here is a simple script for a quick check. Copy this script to every SharePoint Server and modify the ip addresses. Run the script on the server to see if a port is blocked.